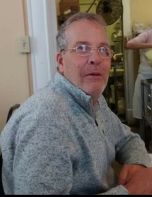 Mitchell Wayne Cain, Jr., age 51, of Laurel Hill passed away Friday, April 5, 2019. Mitchell was born April 20, 1967 in Richmond County, the son of Mitchell “Mickey” Wayne Cain, Sr. and Nancy Honeycutt Cain. He worked many years as a truck driver for the Merita Bread Company and was a member of Gibson Pentecostal Holiness Church. He enjoyed going to the beach and drag racing. He also loved nature and growing a garden. He is preceded in death by a sister, Cheryl Cain. Mitchell leaves behind his wife, Melinda Caulder Cain of Laurinburg; stepsons, Willie White, Albert White; parents, Mitchell “Mickey” Wayne Cain, Sr. and Nancy Honeycutt of Rockingham; sisters, Kim Poole (Jim), Cindy Guinn Faircloth (Scott); step grandson, Jacolby Hunt; his special friends, Bill Taylor, John and Lisa Locklear; his K9 side kick, Jo Jo, along with his extended family and friends. Funeral services will be at 2:00 p.m., Monday, April 8, 2019 at Gibson Pentecostal Holiness Church, officiated by Pastor Joel Quick. Burial will follow in Richmond County Memorial Park. The family will receive friends prior to the service on Monday from 1:00 until 2:00 p.m. at the church.